…with some minor changes. whenever we visit the fella’s family, we can always count on some delicious egg bake for breakfast. his mom always makes it when they have visitors, because it is an easy way to let everyone have a hearty, hot breakfast without actually having to cook every morning, and without requiring everyone to eat at the same time. 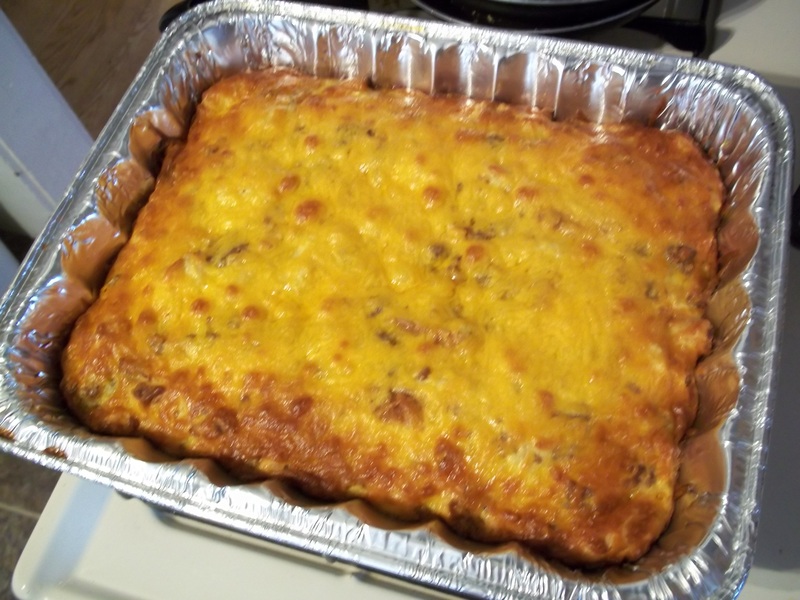 the one i made today isn’t her recipe, because the email from the fella’s dad with the recipe mysteriously disappeared, so i used this egg casserole recipe that calls for sausage instead of the ham his mom normally uses. this will let me sleep in a little later each day this week – 35 seconds in the microwave instead of 5-10 minutes making breakfast! This entry was posted in Cooking and tagged breakfast, cooking, egg, egg bake, make ahead. Bookmark the permalink.